The terrorist attacks in Paris, on 13 November, and the unprecedented terror alert in Brussels over the past days have raised a number of interrogations, in Europe and beyond, on the scope of terrorist activities in Europe and on the effectiveness of governments’ response to this threat. This short article addresses some of these key questions. The terrorist attacks in Paris on 13 November and the unprecedented terror alert in Brussels over the past days have raised a number of questions, in Europe and beyond, on the scope of terrorist activities in Europe and on the effectiveness of governments’ response to this threat. This article addresses some of the key questions. 1. Is terrorism a threat to Europe? Yes, at least some terrorist groups are. According to the director of Europol, the European police agency, the threat from Islamist terrorism is ‘the most serious since 9/11’. There are at least three reasons for this. First, groups such as the Islamic State (IS) and al-Qaeda (AQ) aim for mass casualties, as opposed to other groups that favour targeted killings or symbolic actions. Their aim is to instil massive terror among the population, in order to delegitimise their enemies and attract sympathisers. Second, AQ and IS have clearly designated Europe as a target. AQ has already carried out several attacks in Europe in the past, most notably in Madrid (2004) and London (2005). More recently, among the attackers of Charlie Hebdo, at least one individual had received training from AQ. These days, however, IS has unequivocally displaced AQ as the main threat to Europe. The Paris attacks – following an attack against the Jewish museum in Brussels last year – indicate that IS is now decided and ready to carry out operations in Europe, whereas it had focused on territorial expansion in Iraq and Syria until then. Third, whereas some AQ cells are still believed to be active in Europe, much larger numbers of Europeans have joined the IS ranks. According to the Europol director, up to 5,000 European citizens have left for Iraq or Syria. Although most of them are either dead (about 40% according to one study) or still in the Middle East (about 40% as well), a significant minority of them has returned to Europe. Not all of them are returning to Europe with malicious intentions, as many of these ‘foreign fighters’ are simply fed up or traumatised by their experience. Yet, some do come back to Europe, either to recruit new members or to plan violent actions on European soil. These individuals present a very serious threat, as illustrated by the Paris attacks. These ‘foreign fighters’ are clearly the priority of law enforcement agencies in Europe. The majority of arrests related to terrorism in Europe last year were related to jihadi groups, according to Europol. Importantly, terrorism is far from being new in Europe. Most European countries have been confronted with domestic terrorism (such as separatist groups) or international terrorism (such as communist and anarchist groups, but also Islamist groups linked to Algeria or Morocco) from the 20th century. There is thus a long history of terrorism – and counter-terrorism – in Europe. Many of these groups once presented a very serious threat as well, until they were eventually dismantled or contained. Some of these groups are actually still active, as 99% of the attacks last year were conducted by terrorist organisations other than jihadi groups (mostly separatists), but overall these other forms of terrorism have become more benign today – to the point that most European citizens probably ignore that they still exist. This long and often forgotten European experience in combating and living with terrorism is very good news. A lot can be learned from past successes and failures in the fight against terrorism and radicalisation. We do not need to reinvent the wheel every time. 2. Is Belgium a ‘rear base for terrorists’, as some newspapers and observers have put it? No. Although jihadi terrorist groups have taken roots in Belgium, it is not more a ‘rear base’ than any other country. A ‘rear base’ would imply that Belgium operates as a kind of hub for IS recruitment and operations in Europe (and not just in Belgium). As far as we know, this is not the case. ‘Foreign fighters’ operate in a more decentralised manner, eventually receiving instructions from IS leadership in Syria. A number of jihadi networks are active in Europe, including in Belgium, but not exclusively. Having said this, it is true that the terrorist cell that carried out the attacks in Paris was tightly connected to Belgium. Indeed, some of the perpetrators of the attacks lived, had transited or had connections with Belgium, and one of them travelled back to Belgium just after the attack. He is still on the run. The mastermind, Abdelhamid Abaaoud, was a Belgian citizen, whose name also appeared in several investigations related to attacks or failed plots in Europe over the past year. Yet, the investigation must still clarify how the cell came together (it probably relied partly on friendships born in Syria, where fighters are grouped according to their language and on informal networks in which Abaaoud could have played a central role), and when and how the attacks were planned. Without being a ‘rear base’, Belgium has proved a fertile ground for IS recruiters. It is estimated that at least 400 Belgian citizens (perhaps more than 500) have joined the ranks of IS in Syria/Iraq, whereas the Belgian intelligence services are said to monitor closely about 800 people suspected of connections with IS (in details, according to Belgian Interior Minister, at the end of October: 272 would have joined IS in Syria/Iraq – out of which 80 would be dead, 13 would be on their way to Syria, 134 would have come back, 65 would be actively trying to depart for Syria, and 352 would be candidate to joining IS). These statistics put Belgium on top of the list of countries ‘contributing’ to IS, per capita. Several elements can explain this. For many years, a number of radical groups were actively and openly preaching in Belgium, recruiting and preparing young souls for joining the jihad. This was notably the case with the organisation Sharia4Belgium, whose members were sentenced to jail in February 2015. Such phenomenon is not typically Belgian, however, as Sharia4Belgium was actually a franchise from a British group named Sharia4UK. Yet, that organisation was particularly effective and influential. Furthermore, there was also a sort of ‘snowball effect’. As studies show that radicalisation and recruitment often take place in family or friendship circles, the more individuals were recruited the more they were helping recruiting in turn. Are there other explanatory factors? It has been said that Belgium’s integration policies have failed, with entire neighbourhoods completely neglected by the authorities. That is true, of course, and it is something that urgently needs to be addressed. This being said, as most studies on radicalisation show, better integration policies will not solve the whole problem as such: radicalisation is more related to a phenomenon of ‘estrangement’ than to socio-economic conditions (although the latter can facilitate ‘estrangement’). Moreover, neglected neighbourhoods are not a Belgian specificity… Is Molenbeek really worse than some suburbs in Paris or London? Finally, practical reasons have also been advanced at times, to explain Belgium’s allegedly central position in Europe’s jihad. As a small and well-connected country, Belgium is a communication hub. As such, it would offer easy escape routes for suspected terrorists. However, although such considerations could play a role, there is so far little, if any, evidence to support this argument. 3. Did Belgium fail to counter radicalisation and terrorism? Yes, partly, but so did everyone. Just after the attacks in Paris, many fingers quickly pointed at Belgium as the weak link in the fight against terrorism. The attacks were ‘prepared in Belgium’, according to French President François Hollande, whereas the Belgian intelligence services ‘were not up to the mark’, according to a former French intelligence director. Belgium’s government responded that most attackers were French nationals and that the attacker of the Brussels’ Jewish museum in 2014 was a French national as well, radicalised in France, who returned to France just after the attack (he is now in custody, awaiting trial in Belgium). The blame game is on. This is not only pointless, it is also simply missing the point. Both Belgium and France need to rethink their policies vis-à-vis radicalisation and terrorism as, obviously, they have shown their limits. The Belgian government has already announced a series of measures following the Paris attacks, which will soon be discussed in the Parliament. Some of these measures, such as increasing resources for security and intelligence services, are most welcome since it had been identified as a problem for long. Other measures, such as the systematic imprisonment of returnees, may be less appropriate given overpopulation, lack of resources and radicalisation in jail. Other useful measures have been announced, directly inspired by this failure, such as the possibility for the (local and federal) police to have access to the list of individuals followed by the intelligence services. What is really missing in Belgium, however, is a comprehensive and coordinated approach to counter-terrorism. There is no comprehensive strategy against terrorism, encompassing all dimensions from prevention to repression, including also foreign policy. Furthermore, such strategy could only be undertaken in coordination with all the relevant institutional actors, including regions, communities and cities. In the complex institutional landscape of Belgium, this is a challenge – but the current political momentum could and should be used for such purpose. 4. 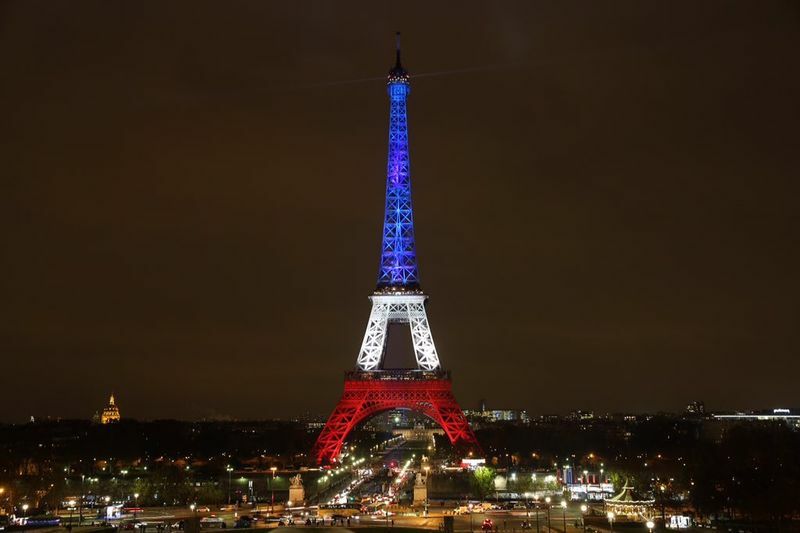 Was the counter-terrorism failure limited to France and Belgium? No, it was a pan-European failure. The Paris attackers managed to escape the monitoring of Belgian and French services. But they also left and returned from Syria using different routes across Europe, travelling unnoticed by all European security and intelligence services. Their names appeared in Belgian intelligence files, they were controlled at the external borders of the EU, and even within the Schengen area. It is still too early to tell whether the Paris attacks could have been prevented, but we can already put forward some suggestions on how to improve a pan-European response to terrorism, in line with the EU’s counter-terrorism strategy. First, it cannot be emphasised enough that closing the borders is not a solution to the terrorist threat, not least because home-grown terrorism and self-radicalised individuals are as much a problem as ‘returnees’. More fundamentally, however, European leaders should not dismantle the European project in the name of counter-terrorism. The European project (an open space of freedom, rights and prosperity) embodies the very ideal that is denied by IS and the likes. Our leaders must stand firmly for this ideal. This does not mean, however, that Europeans should be naïve or passive vis-à-vis terrorism. Clearly, the process of integration is gradual, but also experimental. In this sense, adjustments must be operated, when and where they are needed. Two forms of adjustment are currently needed in Europe, to confront terrorism effectively. First, European countries have long lived in the illusion that security is cheap and optional, because there was no perceived direct threat to Europe and, had one emerged, the Americans and the main European powers would have come to the rescue. As a result, they constantly reduced the budget for their security apparatus (defence, intelligence, police), since the end of the Cold War. In recent years, austerity has increased the pressure on European finances, resulting in further cuts in security budgets. Indeed, in liberal democracies, cutting the defence or intelligence budgets is less costly electorally for politicians than diminishing education budgets or social benefits. The Paris attacks and similar events have demonstrated the short-sightedness of such decisions. Yet, the popular emotion following a terrorist attack is also rather short-lived and, therefore, it is still unclear whether European governments will actually commit to a durable reinvestment in their security apparatus. Second, there is also a need for more cooperation between European countries, on all dimensions of the counter-terrorism spectrum. The Paris attacks have highlighted a number of cooperation failures among intelligence and security services. Some mechanisms and platforms already exist at the European level (such as Europol or the Schengen Information System), but they are under-resourced and under-used. Clearly, more can be done at this level. Nevertheless, it should be pointed out here that more cooperation cannot replace more investments in national capabilities. Both must go together. 5. Do we need a European CIA? No. The idea to create a ‘European CIA’ is not new. It was already voiced following the 9/11 attacks, as well as the Madrid bombings. Following the Paris attacks last November, the proposal was aired once again by a number of politicians, including MEP Guy Verhofstadt and Belgium’s Prime Minister Charles Michel. Such idea, however, appears utopian. It may even become counter-productive for a number of reasons. A European CIA is impossible in the medium term. Intelligence gathering is an exclusive national competence and the EU has therefore no mandate to create such thing. Creating a European CIA would require Treaty changes, which is unlikely at this stage. The current political context is hardly one favourable to more European integration these days and, therefore, this proposition is unlikely to gather support. Furthermore, the world of intelligence is one of secrecy and distrust. Encouraging the agencies of 28 countries to share some basic information is hard enough, so needless to ask what they think about integration. Laying down ambitious objectives is fine, but setting unrealistic ones is deceptive. More importantly, the idea could be counter-productive. On the one hand, it is a bad solution to a serious problem. There is indeed a need for more intelligence cooperation within Europe, but that is more likely to take place primarily at the bilateral level. In this regard, the burden lies upon the Member States, and it should not be transferred to the European level. In fact, echoing what I said above, there is a need for more investment in existing national intelligence services and, eventually, encouraging cooperation. The ‘European CIA’ narrative, conversely, could be used to avoid or delay such investments. On the other hand, it is simply the wrong allegory. If anything, Europe needs to strengthen cooperation between law enforcement agencies, thus a kind of ‘European FBI’. That would make more sense with the EU’s competences in justice and home affairs, and set itself in line with the numerous efforts and achievements that have already occurred in this field. Some measures will be taken at the EU level, and the role of Europol could be reinforced. The establishment of a new European Counter-Terrorism Centre within Europol, next January, is a step in the right direction. These are the kind of concrete and tangible actions that are required now.